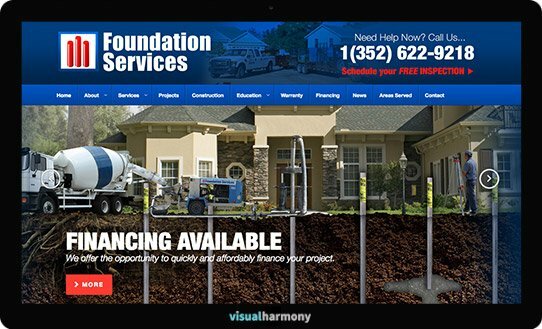 Foundation Services is a local leader in foundation repair and sinkhole remediation. They needed a solid web presence to accurately portray their brand and expertise in their industry. We developed a responsive website to showcase their projects and highlight their services. When it comes to sinkholes and foundation repair, you need people you can trust to protect your home and property. The hard-working team at Foundation Services are the people you want working on your job. 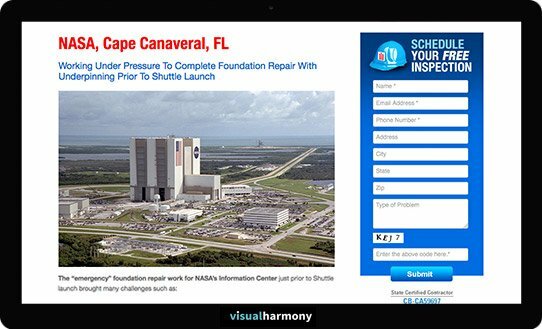 The responsive slider helps to engage visitors with the most important parts of the site. The projects section provides details on many of their commercial, residential and government foundation repair projects. 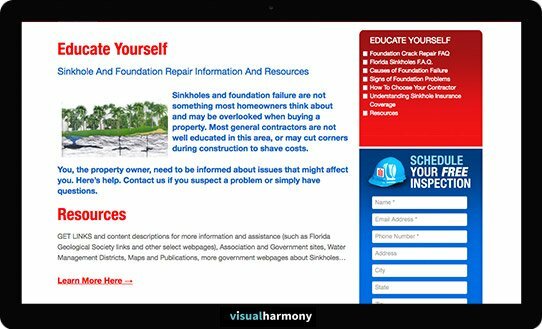 The site has over 50 pages of original content and is loaded with educational resources that can help answer any questions visitors may have about foundation repair and sinkhole remediation. 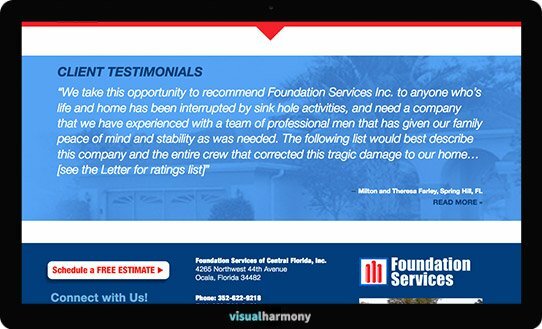 Rotating testimonials provide real-world feedback from customers who have worked with Foundation Services before and help to establish trust with site visitors.